Following the leak of the investor pitch document, Chris McCrudden, director of strategy and media planning at Golin London, scrutinises the strategy behind the promised experience at the disastrous Fyre Festival. If you were anywhere on social media last Friday you’ll have seen the disaster that was Fyre Festival unfold in the Bahamas with a mixture of disbelief and schadenfreude. It was meant to be a cross between Coachella and a Bounty advert, where lithe, bikini-clad influencers would drift between Major Lazer DJ sets and inspirational talks before doing body shots at the beach bar with Kendall Jenner. As the photos and videos that trended all day showed us, however, the reality was much more like a disaster relief camp after an earthquake. Now that festival-goers have been repatriated, refunds promised and we’re all officially over the memes comparing it to The Hunger Games we can ask ourselves what went wrong. The fundamental problem with Fyre was that it was a great launch campaign in search of a festival. Nor was it ever really about the festival. Fyre is, according to its investor pitch document which leaked on Monday, a fairly vanilla influencer brokering service. That made the Fyre Festival a ploy. It was a tactic for launching this service through a ‘live brand experience’ promoted through the social platforms of celebrities, models and Instagram stars to whom Fyre promised access. And it worked – on paper. 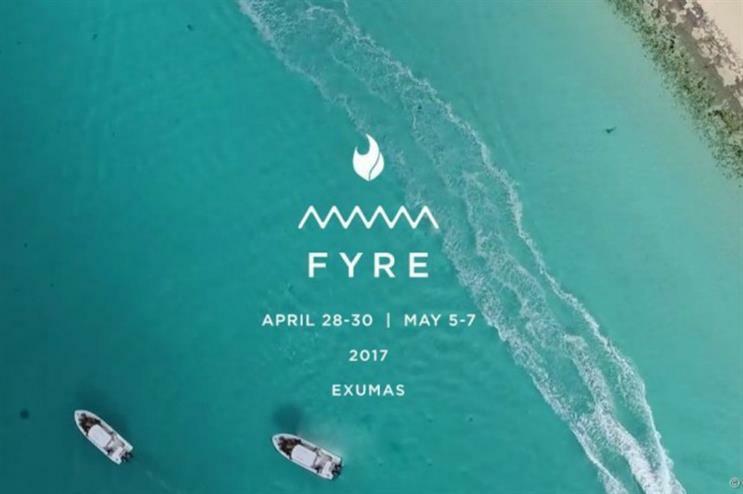 By demonstrating how it could harness influencers on brands’ behalf through a major activation like a festival, Fyre effectively created its own case study, a lot of press coverage and impressive social metrics. "Execution at the bottom of its business model"
But like the strategy slide in Fyre’s pitch deck, which put ‘execution’ at the bottom of its business model, what they got very wrong was the delivery. 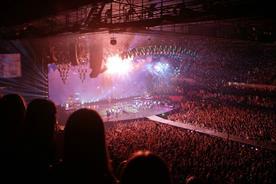 Mounting a major live event like a festival requires a lot more than the envy likes of Bella Hadid’s 12.5 million Instagram followers. It needs vision, meticulous planning, attention to detail and lots of working capital. The many successful event organisers I’ve been fortunate enough to work with in my career care as much about chemical toilets as they do about celebrity tweets. Going by the team slides in their pitch deck, the Fyre team had very little experience of major event production. I doubt whether anyone on staff had much experience of how to source the hundreds of tents you need for a glamping festival, let alone fit them out to the astonishing specification the organisers promised the people who paid up to $12,000 for tickets. This combination of overconfidence and under-competence showed in the catering, accommodation, transport, artist management and communications disasters we saw last week. 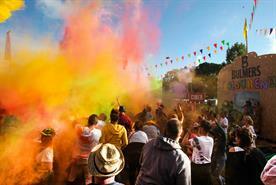 Anyone who has been to, let alone organised, a festival knows that there are many factors beyond human control that can make or break the event. But you can mitigate against them by starting small, and using the first year as a learning experience. All the major events I’ve worked with over the course of my career have built their offering and their reputation gradually. The first year of any festival is a soft launch. It’s a chance to test whether your site, logistical skills and vision work and, most importantly, whether they fit with your audience. Had Fyre’s organisers teamed their undoubted marketing reach and skills with the right production partners, we would be talking about this event in very different terms. As it is, the event industry will probably be using it as a cautionary tale to over-enthusiastic ‘disruptors’ for years to come. 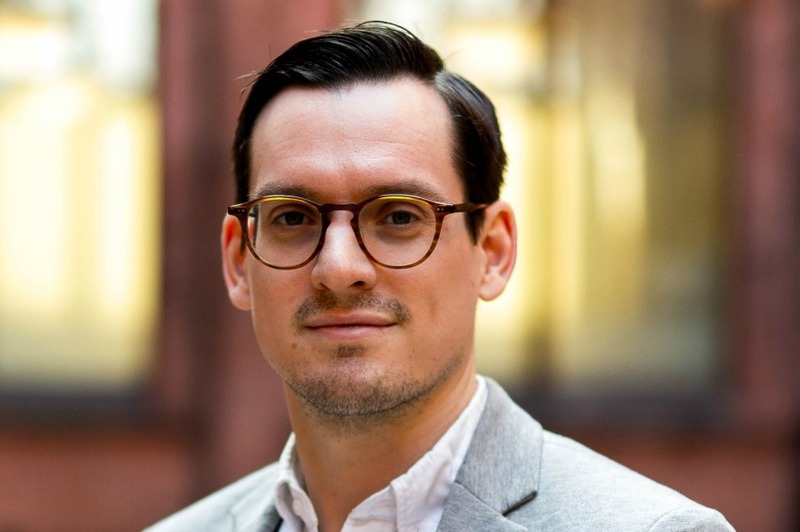 Chris McCrudden is director of strategy and media planning at Golin London. 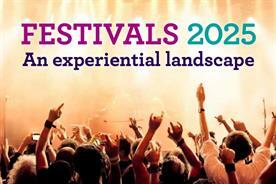 More: Download Event's latest in-depth report: Festivals 2025: An experiential landscape - a collection of essays, data and case studies exploring the future of brand activations at festivals.